"It is very gratifying to know that the fans like what we have done." While so many artists from from “hair band” days are making a comeback, one band never really stopped and now they have managed to sell out venues worldwide on their tour supporting The Purple Album. WHITESNAKE’s legacy has been solidified with top notch performances, technically intricate yet not overbearing, fun music, and a fan base that has followed vocalist David Coverdale through decades of songs. The former DEEP PURPLE vocalist added his special touch to updated renditions of the songs on the album and the fans are loving it. 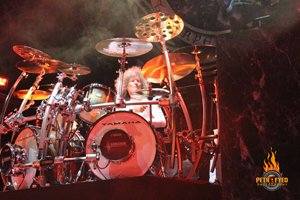 Along for the ride is long time WHITESNAKE drummer Tommy Aldridge and he explains how the album came to be and what fans can expect through the rest of the year from the legendary band. The resurgence of 80’s bands is something that has tended to occur naturally because the fan base wants to hear the songs they loved in that era and WHITESNAKE was certainly a front-runner of the hair band pack. The current incarnation of the band includes guitarists Reb Beach and Joel Hoekstra, as well as bassist Michael Devin and keyboardist Michele Luppi. 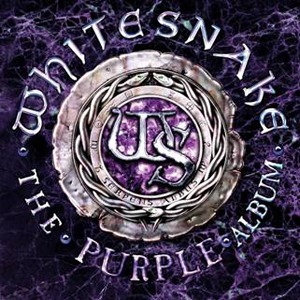 Aldridge says originally, Coverdale wanted to do the songs on The Purple Album with former DEEP PURPLE bandmates and it was an idea that he had been pondering for quite some time, however, it didn’t work out the way he thought it would and he turned to his trusted WHITESNAKE bandmates with the idea. Well, the fans have spoken and all of the shows on the bands recent runs have been sold out and it is looking as if their fall dates are well on their way to having the same outcome. The band will be in Japan in October and will tour throughout Europe before joining DEF LEPPARD in the United Kingdom and Ireland.